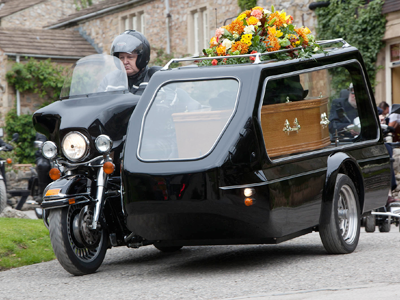 For the funeral of Alan Turner on Emmerdale (ITV) nothing less than an authentic Harley Davidson and sidecar hearse would do. 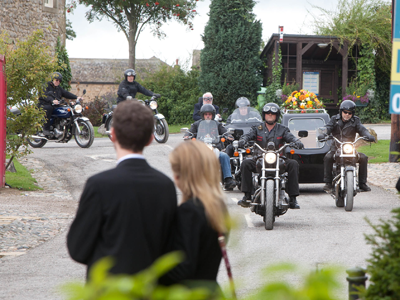 As the actor who played Alan Turner, Richard Thorpe, rode an Electra Glide we decided an Electra Glide it had to be! 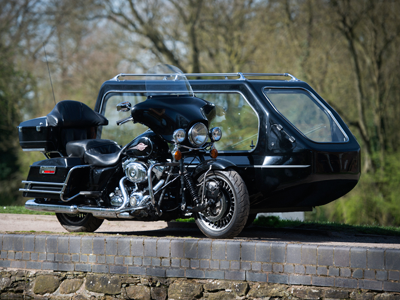 After Emmerdale this Harley Davidson Electra Glide Motorcycle Hearse was made available for you. 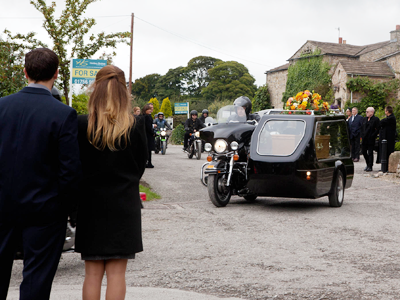 It is the only Harley Davidson where your loved one can remain by your side on that final ride, no matter the weather. 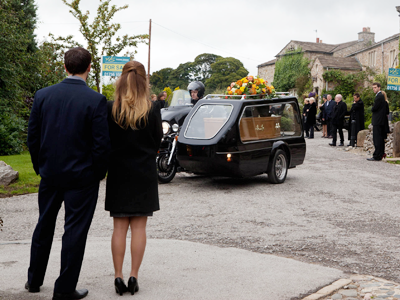 Our Harley Davidson hearses have been featured on Emmerdale ITV, Breakfast TV, Look North BBC1, Inside Out BBC1 and numerous TV regional news programmes.